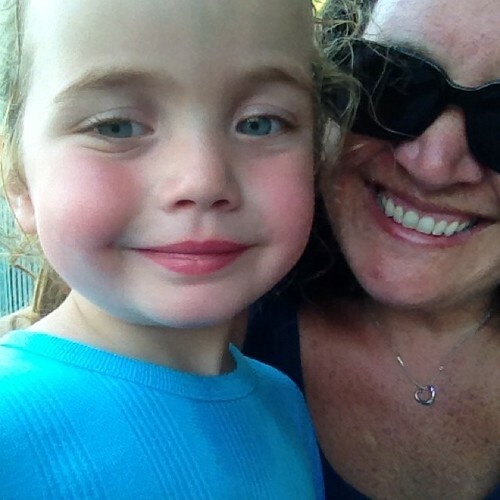 July 22, 2014 ~ The Little of the Lake | Whatever! 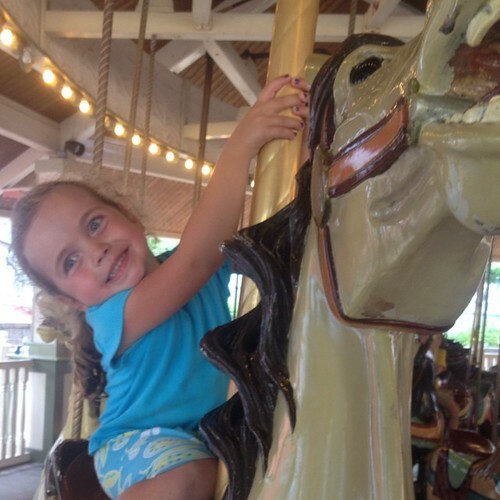 Today I took Ashlin to Lake Compounce. It was just the two of us today, one on one time with my little girl. Teagan was a bit jealous and sad when she found out where we had gone. But she’ll get her day at Lake PomPom too. We ended up getting there a bit later in the day than I expected, but we had an errand in the morning and she took a two-hour nap. You can’t ever regret a nap like that. Then of course, we had to do her nails before we left. 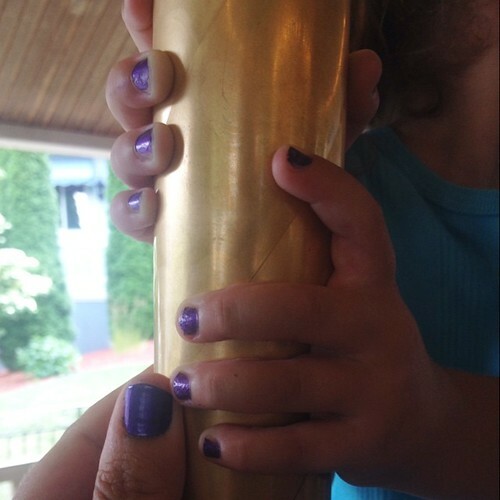 The first time she’s had real nail polish on – and she picked out the color – purple, of course. Of course, I had to try it out – while she napped – intrigued with the deep grape shade. We have matching nails. Tee hee hee. On the ride up, I mentioned to her that there were some rides that she’s tall enough to go on, with me, that aren’t in the kiddie section. She was excited. 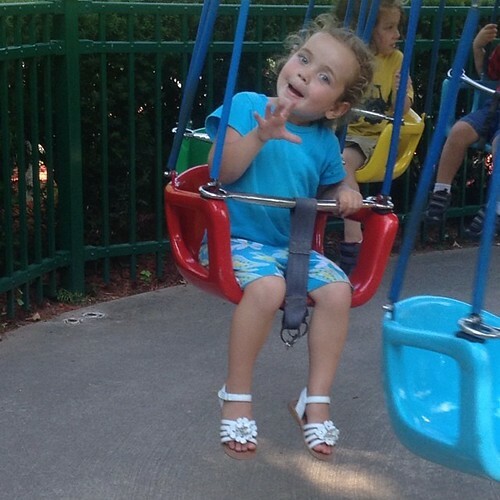 I told her about Thunder Rapids – the round floom ride. I explained it was like a round boat. We watched a few people go by, and she said she wanted to do it. She didn’t realize that she’d get wet. Even though we saw people coming off wet, that it was a water ride. 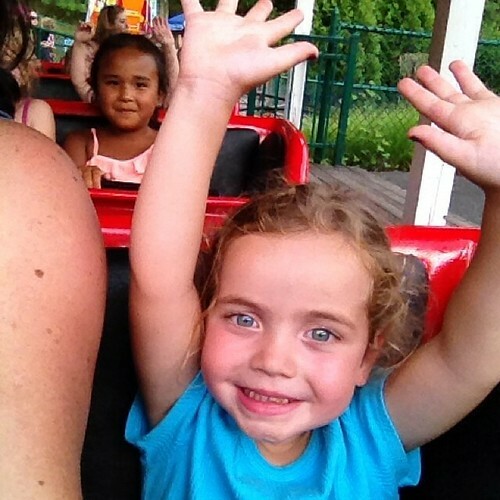 There were some tears, I held her hand for part of the ride. 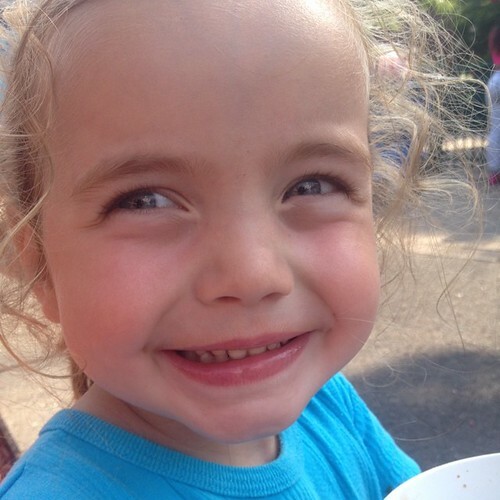 Walking back to the other rides, she calmed down quickly, as she usually does. It was the water. She didn’t want to be wet. The ride itself was fun, she was just unhappy about the water. Fair enough. We walked to the far side of the park to try some of the other new rides. American Flyers was a no-go, nor was the Sky Ride, but the Zoomer Gas n’ Go was a hit. We had to do that one twice. And the big carousel, and the elephants. Oh, and the small roller coaster. We were having so much fun that we got home late. It was a good day. Hoping Thursday – with the big one – is as good. That is awesome, congrats! What a fun day.